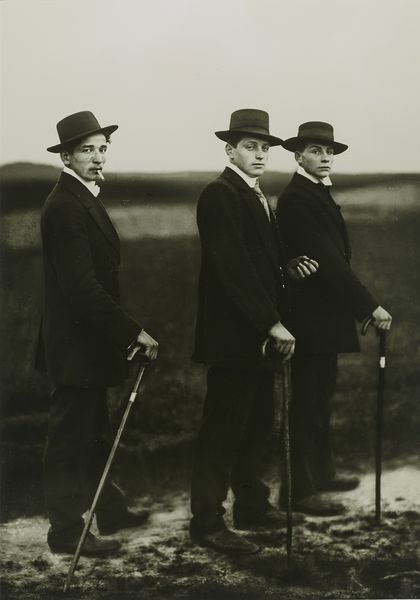 August Sander was born in Herdorf, a small rural village east of Cologne, in 1876. He was one of nine children of a peasant and miner family. Sander is now viewed as a forefather of conceptual art and a pioneering documentarian of human diversity. In his project entitled ‘Menschen des 20. Jahrhunderts (People of the 20th Century)’, a project that spanned four decades of his life, Sander strove to systematically document contemporary German society. This encyclopedic magnum opus constitutes one of the most monumental endeavors in photographic history. Sander’s considered oeuvre, which includes landscape, portrait, architecture and commercial photography, has served as a wellspring of inspiration for modern and contemporary photographers, from Walker Evans and Diane Arbus, to Tina Barney, Rineke Dijkstra, and Bernd and Hilla Becher, and has exerted a profound influence upon new generations of visual artists across mediums. This exhibition led to the publishing of his first book, ‘Antlitz der Zeit (Face of Our Time)’ in 1929. In 1936, the printing blocks were destroyed and unsold copies of the book were impounded, likely due to the publication’s representation of a heterogeneous German society. It is generally understood that the NAZI Party frowned upon such societal representations. 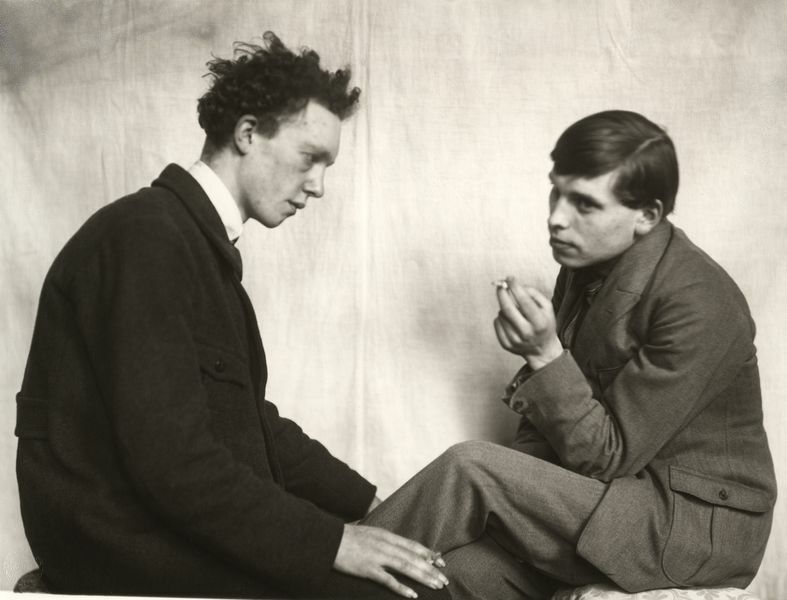 Regardless of the political situation in Germany in the 1933-1945, Sander continued to operate his Cologne photo studio, portraying Intellectuals, Jews, National Socialists, as well as the regular people from the street. He selected many of these commercial portraits for his artistic-intellectual work ‘Menschen des 20. Jahrhunderts’, where they became a political statement. 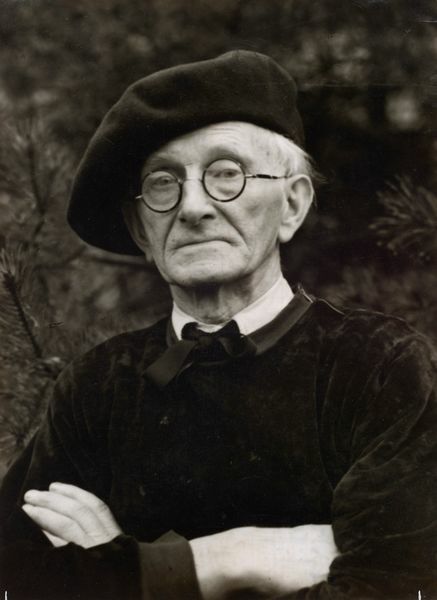 Between 1933 and 1935, Sander published books exploring regions of Germany, and from 1942 he began to relocate the most important parts of his negative archive to Kuchhausen, a small village in the Westerwald, where he continued his photographic profession as well as his project work. Although his studio in Cologne was destroyed in a 1944 bombing raid, Sander continued to work on ‘People of the 20th Century’ throughout the rest of his life. In 1951, German collector and photo-entrepreneur L. Fritz Gruber dedicated an extensive exhibition to Sander at the Photokina in Cologne and introduced him to Edward Steichen. In 1953, Steichen selected a number of his works to be included in his exhibition, ‘The Family of Man,’ at MoMA in New York. 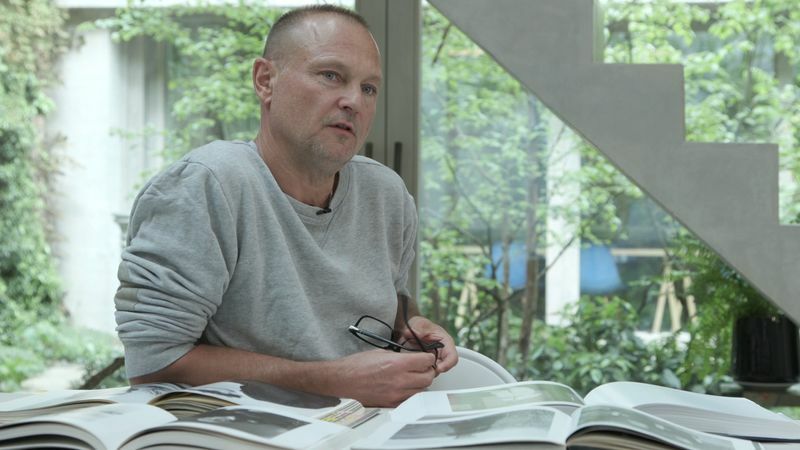 Sander has since been honored with major solo exhibitions and inclusion in important group shows and public collections throughout the world. He remains a constant and steadfast influence on new generations of artists to this day. 1975 Kemp, Wolfgang, 'August Sander: Rheinlandschaften. Photographien 1929 – 1946', Munich: Schirmer/Mosel, 1975. 2018 Luke, Ben, 'German portraits the Nazis were desperate to suppress', in: Evening Standard, London/UK, 23 May 2018, ill.
Haddad, Natalie, 'Art and Ascent of the Third Reich', on: hyperallergic.com, New York/NY, 21 May 2018, ill.
Wood, Gaby, 'August Sander: "Every Person's Story is Written Plainly on His Face"', in: The Daily Telegraph, London/UK, 18 May 2018, ill.
Harrison, Anya, '"August Sander" at Hauser & Wirth', in: Modern Painters, New York/ NY, May 2018, ill.
__, 'Before the Fall: German and Austrian Art of the 1930s', in: Whitewaller, New York/NY, May 2018, ill.
Clifford, Eva, 'August Sander: Men Without Masks', on: bjp-online.com, UK, 18 April 2018, ill. (contd.) 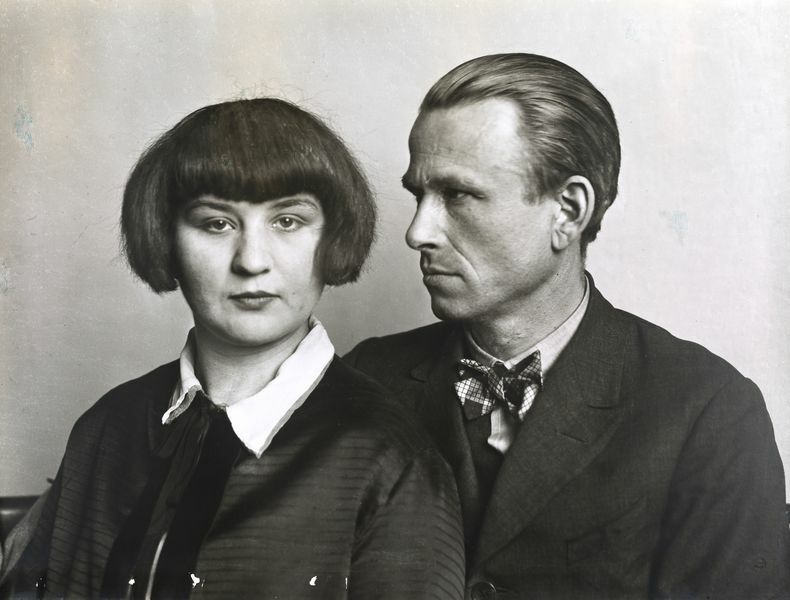 Budick, Ariella, 'Art in Nazism's shadow: Before the Fall at the Neue Galerie, New York', on: ft.com, London/ UK, 3 April 2018, ill.
Gauvin, Jean-Baptiste, 'August Sander: Portraits in the face of oblivion', on: loeildelaphotographie.com, Paris/FR, 23 March 2018, ill.
Guillot, Claire, 'Photographie: August Sander, les Allemands sous tous les angles', on: http://www.lemonde.fr, Paris/FR, 19 March 2018, ill.
Smyth, Diane, 'The Shadow Archive, vernacular portrait photography at The Walther Collection, NYC', on: bjp-online.com London/UK,13 December 2017, ill.
Eler, Alicia, ' Artist Omer Fast is drawing protest in N.Y., but only curiosity in Minneapolis', on: http://m.startribune.com/, Minneapolis, 26 October 2017, ill.
Cotter, Holland, 'Omer Fast's Chinatown Installation Is a Misfire', on: nyimes.com, New York, 20 October 2017, ill.
Keane, Tim, 'How August Sander and Otto Dix recorded Fascism's Rise', on: https://hyperallergic.com, New York/NY, 08 October 2017, ill.
du Toit, Wessie, 'Starring at the zeitgeist', on: https://www.apollo-magazine.com/staring-the-zeitgeist-right-in-the-face/, Apollo, 17 August 2017, ill.
Carey-Kent, Paul, 'Portraying a Nation: Germany 1919 – 1933 Tate Liverpool', in: The World of Interiors, London, September 2017, ill.
Wullschlager, Jackie, 'German Art at Tate Liverpool: Reflections on Age of Anxiety', in: Financial Times, London, 30 June 2017. Januszczak, Waldemar, 'Art review: Germany 1919-1933 at Tate Liverpool', in: The Sunday Times, London, 25 June 2017, ill.
Kent, Sarah, 'Portraying a Nation, Tate Liverpool review – an inspired juxtaposition', on: www.theartdesk.com, Barnet, 26 June 2017, ill.
Zafiris, Alex, 'August Sander: The Intimacy of Time', on: www.guernicamag.com, 15 June 2017, ill.
Boyes, Roger, 'The artists who showed the face of Weimar Germany', in: The Times, Saturday Review, London/UK, 10 June 2017, pp. 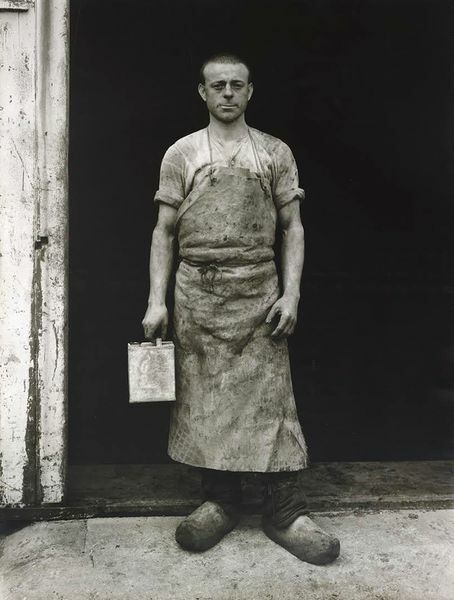 8n – 9, ill.
Silas, Susan, 'Incorporating Photography into Art History, Starting with August Sander', on: www.hyperallergic.com, New York, 28 March 2017, ill.
Sweeny, Erin, 'Implicit Politics: August Sander and the Fallacy of Objectivity', on: www.magazine.art21.org, New York, 23 March 2017, ill.
Kohler, Michael, 'Wem gehört das Erbe August Sanders? ', in: Art, Hamburg/DE, April 2017, p. 140 – 141, ill.
Diamond Hamer, Katy, 'The Archetypes of August Sander, Hauser and Wirth', on: www.eyes-towards-the-dove.com, New York, 20 April 2017, ill.
Evans, Richard, 'Portraying a Nation: Germany 1919 – 1933. In the Eye of', in: Tate Etc, London, May 2017, pp. 44 – 45, ill.
2017 Smyth, Diane, 'The Shadow Archive, vernacular portrait photography at The Walther Collection, NYC', on: bjp-online.com London/UK,13 December 2017, ill.
Keane, Tim, 'How August Sander and Otto Dix recorded Fascism's Rise', on: https://hyperallergic.com, New York, 08 October 2017, ill.
2016 Green, Tyler, 'The August Sander Project: Beginning a Five-Year Exploration of Sanders's "People of the Twentieth Century"', on: www.stories.moma.org, 17 November 2016, ill.
Estrin, James, 'A New Look at August Sander's People of the Twentieth Century', on: lens.blogs.nytimes.com, New York, NY, 15 November 2017, ill.
Fulford, Robert, 'A tableau of tragedies: August Sander's portraits are the simplest in the history of photography, but also the deepest', on: nationalpost.com, Toronto/CA, 11 April 2016, ill.
Testino, Arianna, 'August Sander e il MoMA. 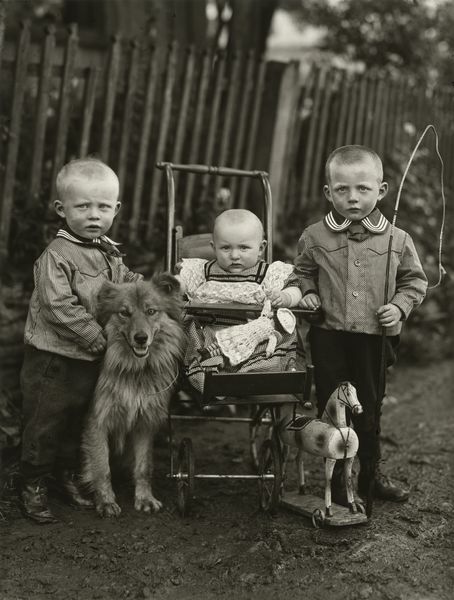 Storia di un'acquisizione', on: artribune.com, Rome/IT, 11 June 2015, ill.
Silverman, Rena, 'Finding the Right Types in August Sander's Germany', on: lens.blogs.nytimes.com, New York/NY, 6 June 2015, ill.
Bowley, Graham, 'MoMA Acquires Hundreds of August Sander Photographs', on: nytimes.com, New York/NY, 4 June, 2015, ill.
Bigazzi, Stefano, 'Sander, I volti in bianco e nero della Germania che si transforma', Genoa/IT, 10 April 2015, ill.
2014 Feeney, Mark, 'Portraits with personality – and still lifes with it, too', on: bostonglobe.com, Boston/MA, 12 September 2014, ill.
___, 'August Sander, medio siglo sin el Fotografo del aleman medio', on: elconfidencial.com, Madrid/ES, 19 April 2014, ill.
Friecke, Christiane, 'August Sander. Vollender eines Jahrhundertwerks', in: Photo News, Vol. 3, p. 8, ill.
Kohler, Michael, 'Sein Werk ist noch nicht ausgeschöpft', in: Kölner Stadt-Anzeiger, 14 April 2014, n.p. , ill.
2013 Kabir, Ihtisham, 'Sander's Germans', on: thedailystar.net, Dhaka/BD, 7 September 2013, ill.
2004 Kuspit, Donald, 'Social Propriety and Human Reality', on: artnet.com, New York/NY, 25 May 2004, ill.